If you find that your credit history is less than stellar, and you need help correcting it, you don’t necessarily have to reach out to debt solution companies to help you. Keep in mind, debt solution companies aren’t always able to deliver what they claim, and you’ll be paying fees on tasks that you can otherwise complete yourself with a little effort. We’re going to explain what credit repair companies can and can’t accomplish for you, how to fix your own credit for free, and how to find financial counseling services. Credit repair companies challenge incorrect statements on your credit report on your behalf. They might make promises that they can solve all of your credit woes, but oftentimes, they can’t entirely fulfill those promises. You may end up paying fees in anticipation of the solutions they guarantee, only to find you haven’t seen much improvement from their services. These companies often tout you can have an improved credit rating through the removal of negative information from your credit report. But keep in mind; default listings and correct historical information are not removable. The key here is that you could actually do all of that on your own. You may also be offered a debt management service to help you regain control of your finances. Many come with long-term consequences regarding you and your credit rating. Debt settlement- agreements to pay a negotiated amount over a period of time. Bankruptcy- the legal declaration of your inability to meet your debt repayments. Debt Consolidation- combining all of your debts into one loan. Before agreeing to any of the above solutions, try to find local support for debt and credit counseling in your area. Learn more about debt relief here. Before signing up for any service and their subsequent fee structures, make sure you completely understand their scope of services, fees, and terms of their contract. If they cannot distinctly define and explain the services they will provide, you may be better off repairing your credit on your own. It’s commonplace to pay very high fees to credit repair agencies. Depending on your total debts, you may find that their services will hinder you, rather than help you. Even in the event that they weren’t able to fix the entries on your credit report, you likely will still incur fees for their service. In this case, it’s important to exercise caution if you notice they charge up front fees- it could mean they want to ensure payment for services, even if their services don’t help you. 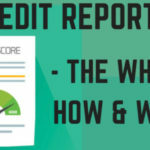 We know the value of a credit score- it determines your ability to procure lines of credit, and it’s important that all of your information be correct and up to date. You can request a free copy of your credit report and determine if you have any errors- you also have the right to dispute those errors. If you find yourself struggling, there are resources available to you. Credit counseling services exist to provide resources for you to solve your money issues. This includes counselors who can discuss your situation with you and develop an individualized plan. Once you find a credit counseling service, make sure they are accredited through either the National Foundation for Credit Counseling (NFCC) or the Financial Counseling Association of America (FCAA). Repairing a credit report shouldn’t increase your financial burden. Weigh the pros and cons of the credit repair company’s services and their costs. You may find you’re much better off fixing it yourself.